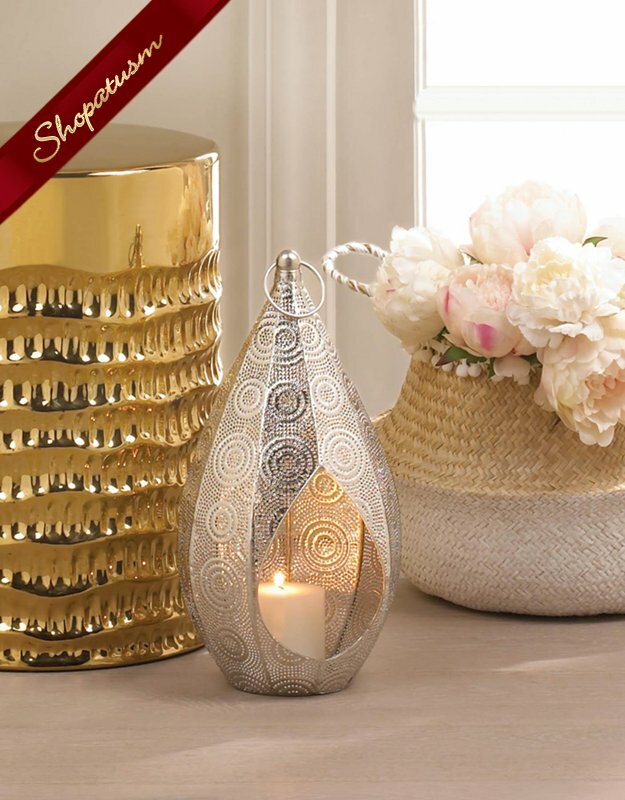 This detailed spiral pattern makes this lantern one-of-a-kind and brings a beautiful source of ambient light to your home. Perfect for everyday use, parties, holidays or any special occasion. Iron. Measurements: 8" x 7" x 15" and 16.75" tall with loop. Weight: 1.2 pounds.